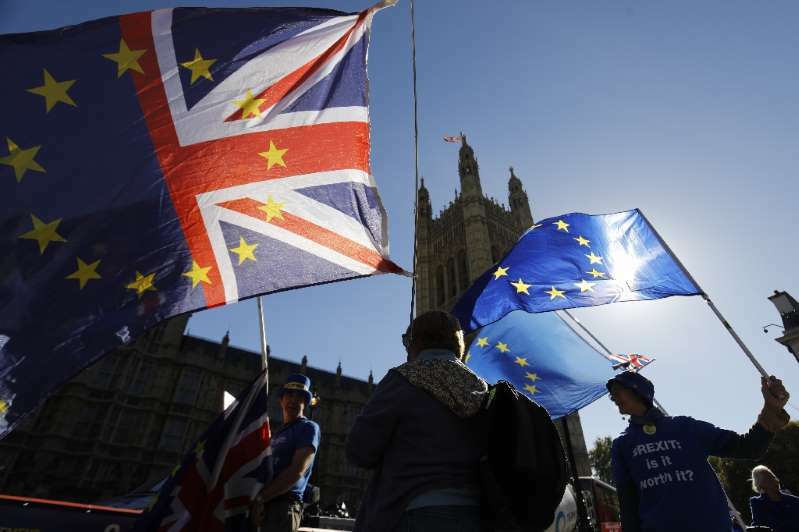 Britons would vote to remain in the European Union by a 54-46 percent margin in a second referendum, a survey purporting to be the biggest of its kind said Monday. The apparent boost in remain support will be seized by campaigners who want a binding second vote taken on the terms London and Brussels reach before Britain splits from the other 27 nations in the bloc on March 29. It remains unclear what would happen were that deal rejected, with some suggesting that a second referendum on Britain's EU membership be held. Prime Minister Theresa May rejects the idea, arguing that it would be undemocratic for Britain to go back on the Brexit referendum result in June 2016. Voters then chose to leave the EU by a 52-48 percent margin, fed in part by a desire to regain control of UK borders in the face of a refugee crisis sweeping Europe at the time. But talks over Britain's withdrawal terms remain stuck due to a dispute over the Irish border, and the outlines of a potential deal taking shape look little like what the leave camp promised two years ago. Commissioned by Britain's independent Channel 4 television, the online poll of 20,000 people was conducted by the Survation agency between October 20 and November 2. It gave no margin of error. The poll showed support for Brexit in some cities that voted to leave falling by around 10 percentage points. In Southampton, a port of 250,000 in the south of England, it slipped from 53.8 percent to 41.8 percent, while in Birmingham, a central industrial city of one million, it fell from 50.4 percent to 41.8 percent. At the same time, the poll showed backing for the deal that the two sides seem to be nearing at 41-30 percent among voters who identified themselves as members of May's Conservative Party. The finding should give May a boost as she fights off eurosceptics in her cabinet who want a quicker and more profound economic break between the UK and EU after Brexit takes effect.